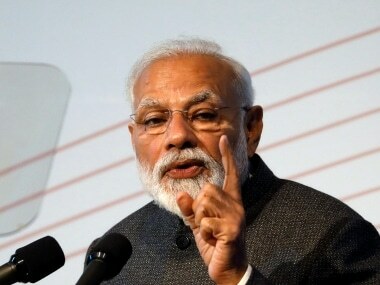 Prime Minister Narendra Modi will address 25 lakh security guards in an audio conference on Wednesday as part of the Bharatiya Janata Party's (BJP) Main Bhi Chowkidar campaign ahead of the Lok Sabha election. Meanwhile, BJP's Chhattisgarh in-charge and national general secretary Anil Jain said the party will change all 11 sitting MPs from the state this election, and that the Chief Election Commissioner has approved of such a plan. 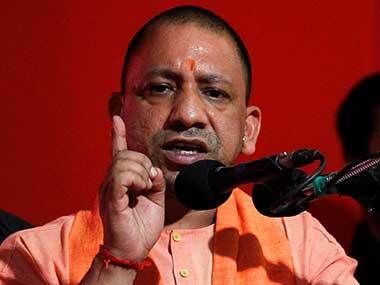 The BJP's central election committee is set to meet once again on Wednesday evening. On the Opposition front, the Congress-RJD combine in Bihar is likely to announce its seat-sharing arrangement on Wednesday. The Congress is believed to have settled for nine of the 40 Lok Sabha seats in Bihar. 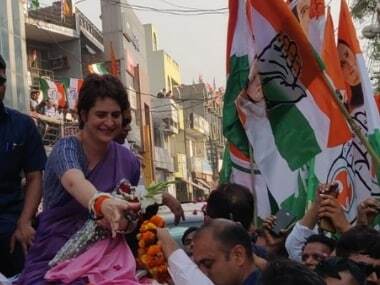 Also, the party's general secretary for Uttar Pradesh East, Priyanka Gandhi Vadra, will arrive at Modi's home turf of Varanasi on Wednesday, the last day of her three-day Ganga Yatra. Her brother, party president Rahul Gandhi, will hold rallies in Agartala and Imphal. Furthermore, the Congress-Left Front alliance in West Bengal could be heading for a collapse as the latter has already announced candidates for 38 of the 42 seats in the state, keeping the four seats held by Congress MPs vacant for now. The Left has given the Congress a 24-hour deadline to "respond positively" to its gesture. A day after the Election Commission of India met representatives of top social media organisations, including WhatsApp, Twitter and Facebook, the platforms said they will draft and submit, on Wednesday, user guidelines to the poll watchdog with the upcoming election in view. New Goa chief minister Pramod Sawant will face a floor test in the state Assembly on Wednesday. Sawant has already said he is confident of a victory, with the support of 21 MLAs in the House — 12 from the BJP, three each of allies Goa Forward Party and Maharashtrawadi Gomantak Party and three Independents. The politician, recently seen in the RSS uniform at a Sangh event, was sworn in as the new Chief Minister of Goa on Monday after Manohar Parrikar's death on Sunday evening. At least 37 people have been rescued from the site where an building under construction collapsed atKumareshwar Nagar in Karnataka's Dharwad on Tuesday evening. The rescue operation is still underway as more people are feared trapped. Dharwad Deputy Commissioner Deepa Cholan had confirmed two dead, and that 28 people had been admitted to a civil hospital for treatment. 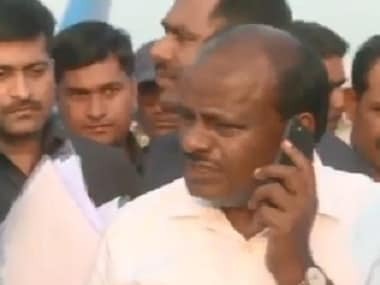 Meanwhile, Chief Minister HD Kumaraswamy said rescue efforts will be conducted on a war footing and urged local resident not to panic. 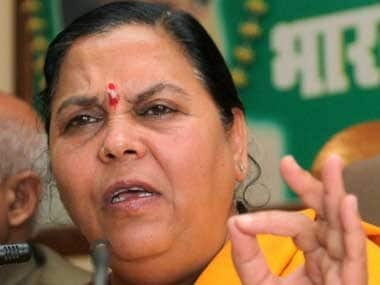 As many as 1,000 farmers are allegedly planning to file nominations from the Nizamabad Lok Sabha constituency in Telangana, represented by Chief Minister K Chandrashekar Rao's daughter Kavitha, to protest the alleged failure of the rulingTelangana Rashtra Samithi (TRS) to ensure Minimum Support Price (MSP) for turmeric and red jowar produce. Various individuals, including farmers, took around 40 nomination forms on Monday, the first day of filing nominations, official sources said. Some farmers said they had decided to contest to express their protest as the TRS had failed to ensure MSP for their produce. The DGCA on Tuesday said Jet Airways is currently operating only 41 aircraft, just a third of its original fleet, as the debt-laden carrier struggles to finalise a rescue deal with lenders and its major shareholder, Etihad Airways. The aviation regulator said the situation is fluid, and that Jet may further reduce the number of aircraft it is flying in the coming weeks. Saddled with debt of more than $1 billion, Jet Airways has delayed payments to banks, suppliers, pilots and lessors, some of whom have ended lease deals with the airline before taking the planes out of the country. The all-powerful GST Council on Tuesday allowed builders an option to choose between old tax rates and the new ones for residential projects under construction to help resolve input tax credit issues. The council, headed by Finance Minister Arun Jaitley and including representatives of all states, at its 34th meeting, laid out transition rules for the implementation of new tax rates for the real estate sector. Builders will get a one-time option to continue paying tax at the old rates (effective rate of 8 percent or 12 percent with Input Tax Credit) for ongoing projects (buildings where construction and actual bookings both started before 1 April, 2019, but which will not be completed by 31 March, 2019), Revenue Secretary AB Pandey told reporters. Google has officially unveiled Stadia, a cloud-based gaming service that brings console-quality games to Chrome and Android. The tech giant also announced a Stadia controller that looks like a cross between an Xbox and PS4 controller. There is no fixed launch date for Stadia yet, but Google says the service will be announced sometime this year. Filmmaker Francis Lee has been accused of fabricating a lesbian storyline in his next directorial Ammonite. The film, a biographical drama about paleontologist Mary Anning, features Oscar-winner Kate Winslet and actor Saoirse Ronan in the lead. The story follows the life of noted British paleontologist Anning (Winslet), who begins a relationship with Frances Bell, her nursemaid (Ronan). A report in The Telegraph, however, questioned the film's storyline, with Anning's real-life descendants claiming that her sexuality was never confirmed.